Set 1 first appeared in The Midas Touch and was in use until Hostage. It had a living room, a large dining room with a mantlepiece, an entrance area. Set 2 was there from Hostage and the set changed again following Dead Men are Dangerous. 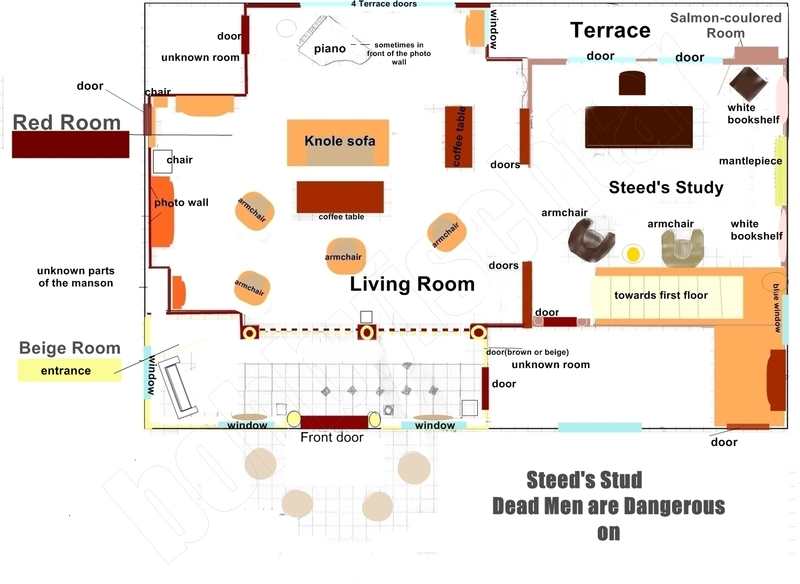 In the second set the large dining room had disappeared, instead of it there was now a second living room and there only was a small dining section, that Steed used once. The entrance area hadn't changed. Set 3 was the most tasteful one. 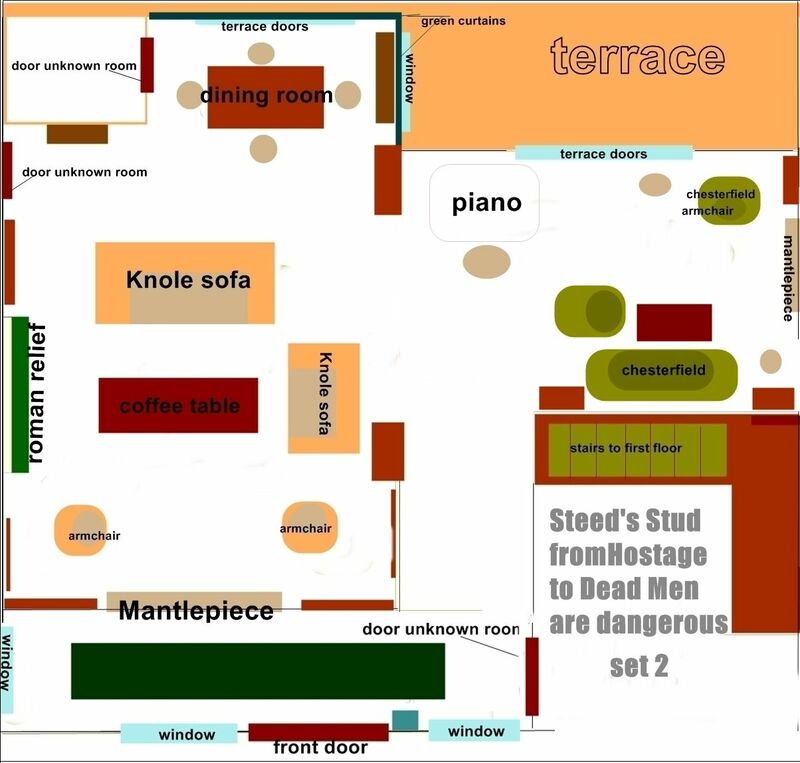 Finally, Steed had a large study, but there was no longer a dining room, and the second room (living area from the first set) was a living room with a Knole sofa (similar to the sofa from his 3rd flat) set. 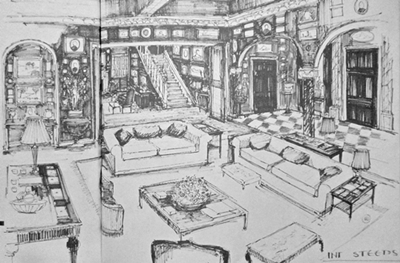 An entrance hall existed on all three of the sets, but it looked different in the third flat. The Hall looks different from the outside, escpecially Steed's study does not match it. 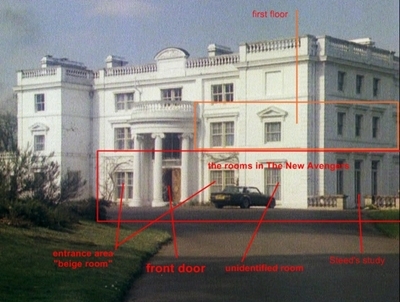 The floorplan of the original mansion Fulmer Hall does not match Steed's Stud. Art work of the interior of the third set, made by Keith Wilson, can be found in The New Avengers Annual 1978. 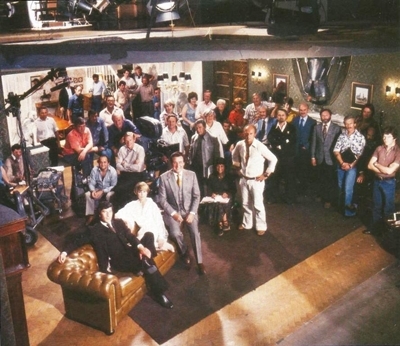 The New Avengers production crew taken on the (1st) set at the Pinwood Studios in 1976 during the filming of the episode Target. 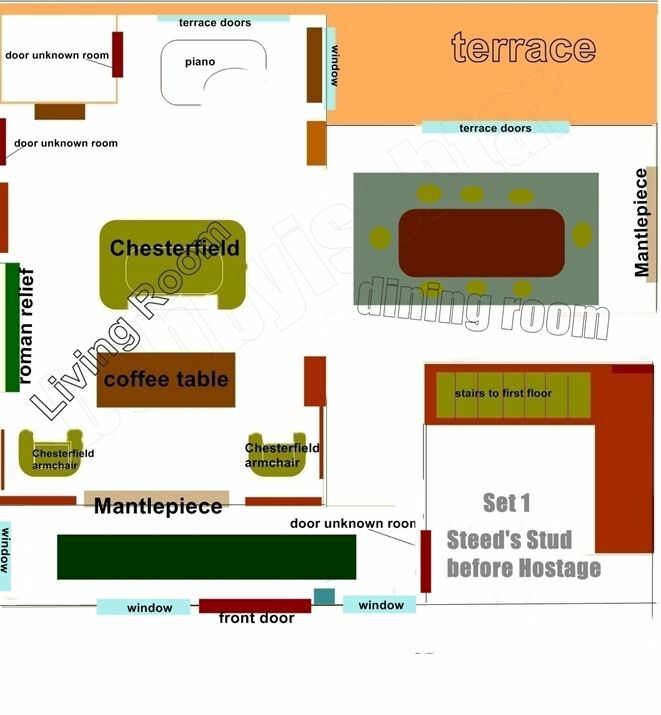 There were three different sets for the interior of Steed's Stud.